Are you looking for creative ways to make money this summer? Then you’ll love this post because it’s full of DIY crafts to make and sell to earn some extra cash for summer. The craft ideas you’ll find in this post are all summer crafts to make and sell, but that doesn’t mean you can only make and sell them in summer. However, these are the types of things people are looking for in the summer, so it’s a good idea to take advantage of this seasonal trends. And you’ll be happy to learn that these DIY crafts to make and sell don’t require a large upfront investment in supplies. Of course, you will have to buy the supplies upfront but you’re not going to have to take out a second mortgage to finance your crafting side hustle! If you’re interested in work-from-home jobs that don’t require joining fees, then make sure you check out this post. Want to get paid for sharing your opinion? This post gives you a step-by-step guide to making $500/month taking online surveys. Do you have a smartphone? If so, did you know that there are lots of apps that will pay you real cash when you download them? Check out the list of apps that pay here. #1 – Ice Dyed Pillows – We’ve all heard of tie-dye, but have you heard of ice-dye before? 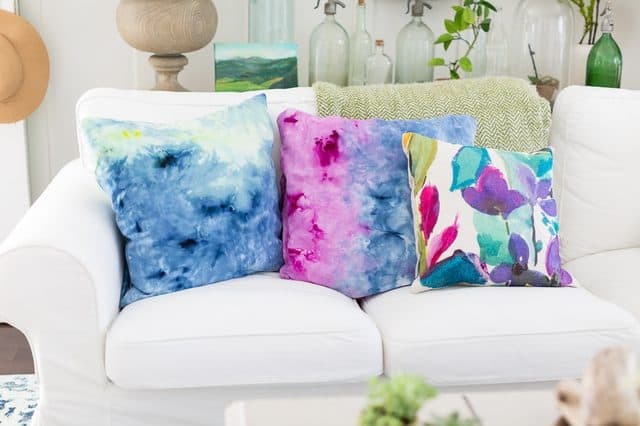 How gorgeous are these ice-dyed pillows? 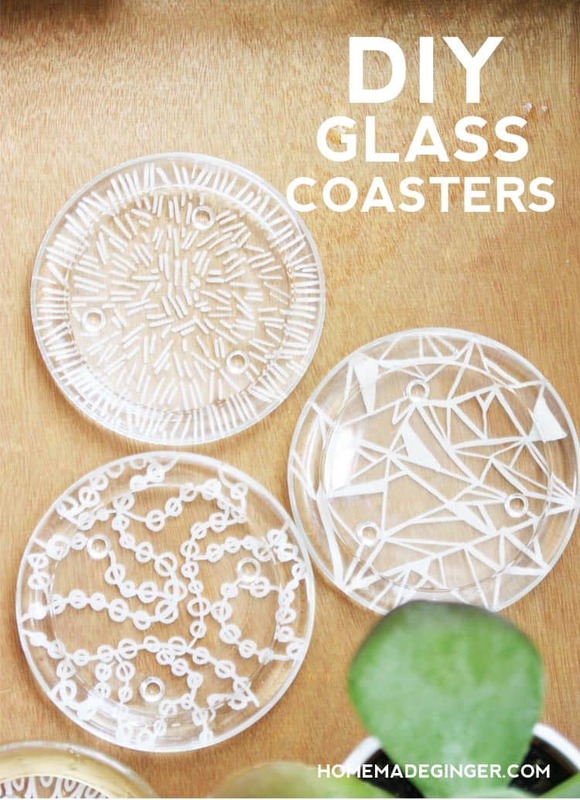 These would look absolutely beautiful in a sunroom or on some outdoor furniture. 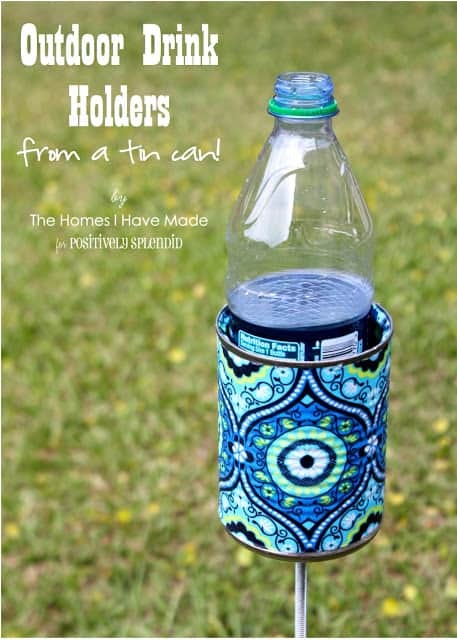 #2 – Outdoor Drink Holder – This outdoor drink holder is the perfect craft to make and sell in summer because it’s easy to make, the materials are inexpensive and it’s something that everyone needs. After all, what’s better than sitting outside in the sun enjoying a nice, cool drink? #3 Watermelon Bowl – Watermelon’s are the quintessential summer fruit – I have fond memories of digging into a watermelon half with spoon as a child, watermelon juice running down my face and arms. 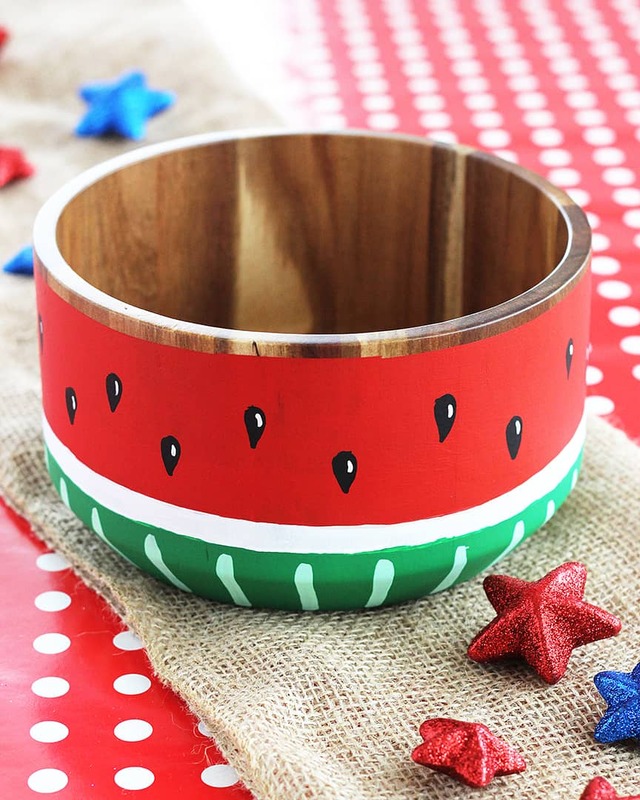 This watermelon bowl is a cute, fun summer craft to make and sell. #4 – DIY Plant Stands – There’s not much better than sitting in a beautiful garden enjoying the sunshine. 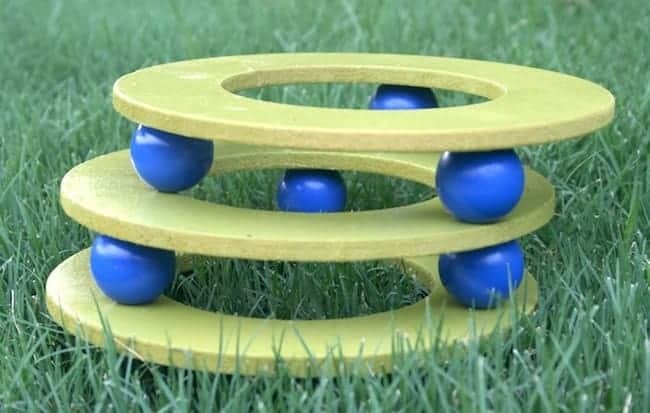 Avid gardeners would love these easy-to-make plants stands and they’d be the perfect craft to make and sell out outdoor craft fairs. 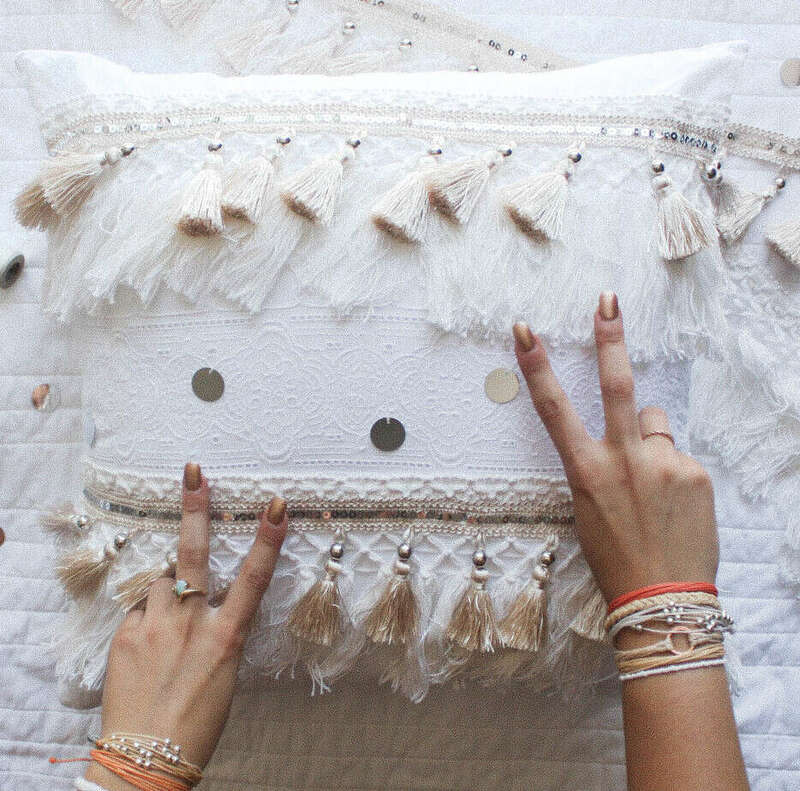 #5 – DIY Boho Throw Pillow – Boho themed homewares are always popular and this gorgeous boho themed pillow is surprisingly easy to make, despite looking so intricate! #6 – Desert Style Basket – Decorative baskets always sell well at craft fairs. 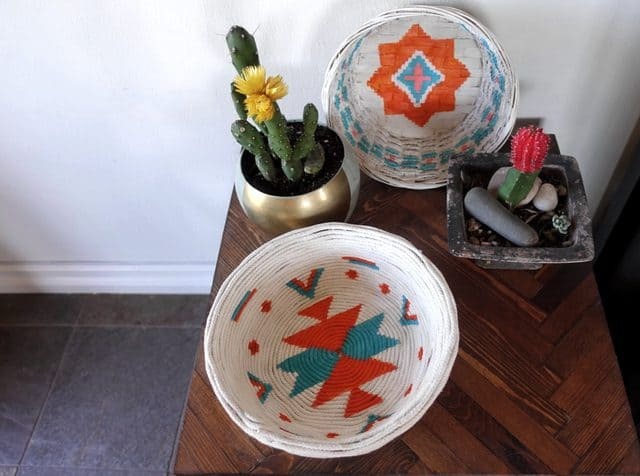 This desert style basket is made using old baskets that you can usually find for less than a dollar at stores like the Goodwill or The Salvation Army. #7 – DIY Gold Leaf Vase/Candle Holder – Gold is on trend right now in terms of home decor. 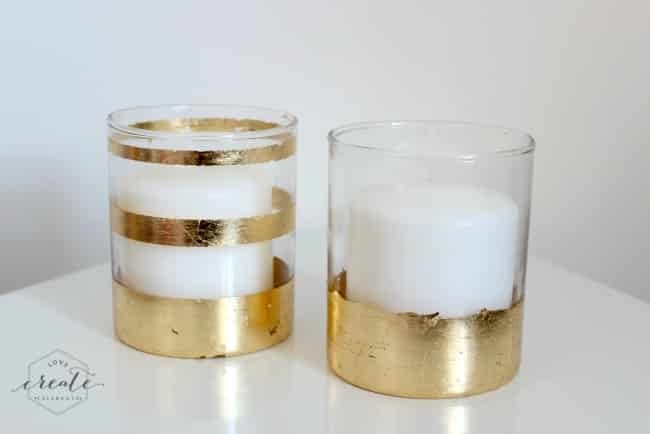 These gold leaf vases and candle holders look luxe but they’re actually very easy to make, and you can pick up glass vases and candle holders at The Dollar Tree, making this a very inexpensive craft to make and sell. 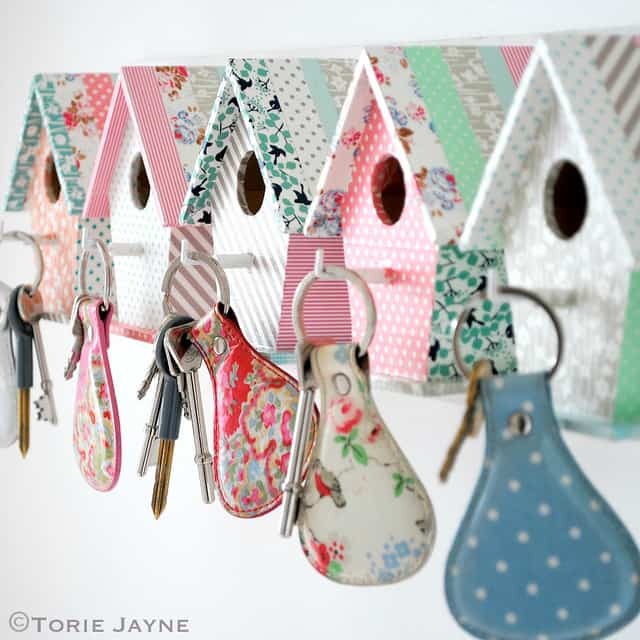 #8 – Birdhouse Key Holders – I just love these adorable birdhouse keyholders! This DIY is easy and inexpensive to make but the finished product is something that people would be willing to pay good money for! 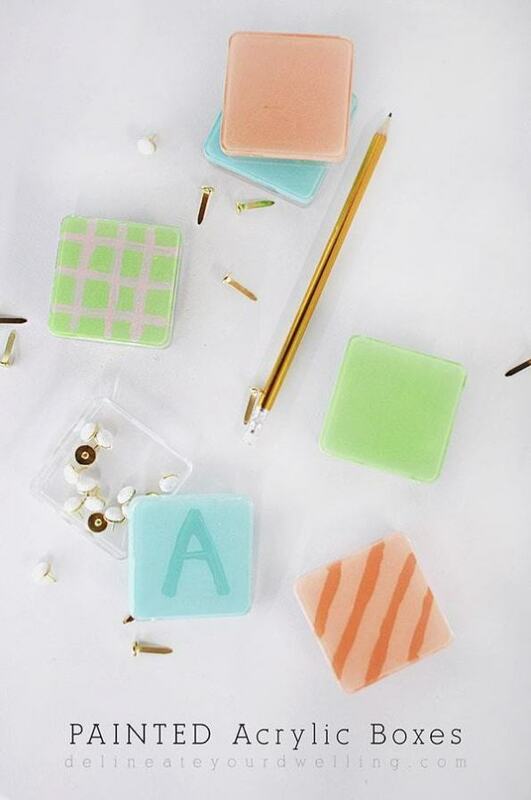 #9 – Painted Acrylic Boxes – These painted acrylic boxes from Delineate Your Dwelling are a simple DIY project to make and sell, and because they’re so inexpensive to make your profit margins will be higher. #10 – DIY Wrapped Phone Charger Cord – I don’t know about you, but I can never have too many phone cord chargers. I like to have on in multiple rooms of the house! These wrapped phone cord chargers are a cute way to hide ugly phone cords, and you can make them in endless color combinations to suit the seasons/home decor trends. 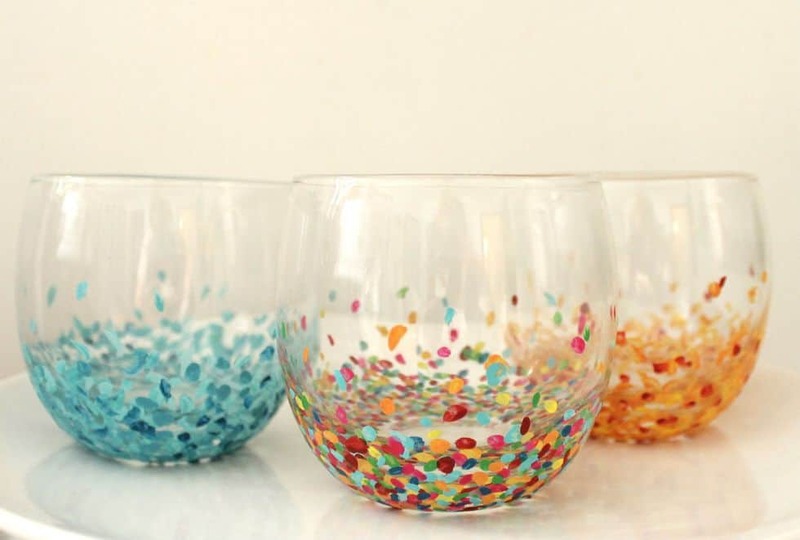 #11 – DIY Confetti Glassware – Decorated glassware always sells well at craft fairs and these confetti cups will be no exception. The fun, colorful confetti is perfect for summer! 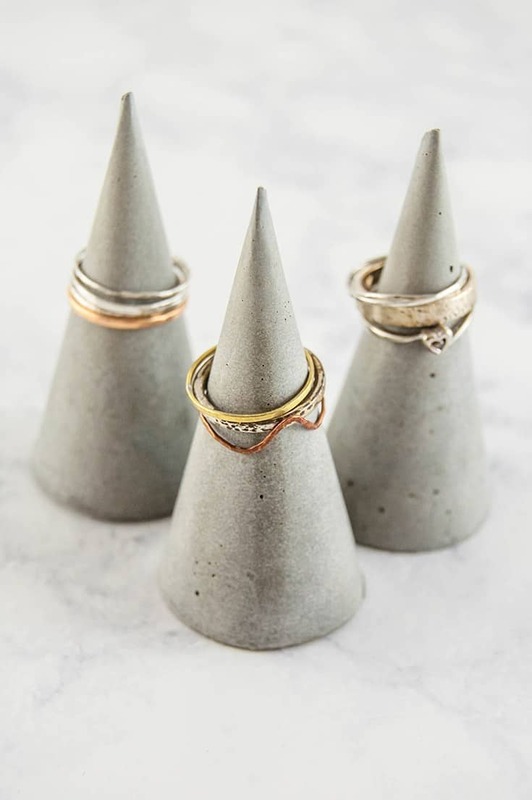 #12 – DIY Concrete Ring Cones – Anyone who loves the industrial home decor theme would love these concrete ring cones. In fact, I’m not even a huge fan of the industrial theme but I still love these. You could also easily paint them, too. 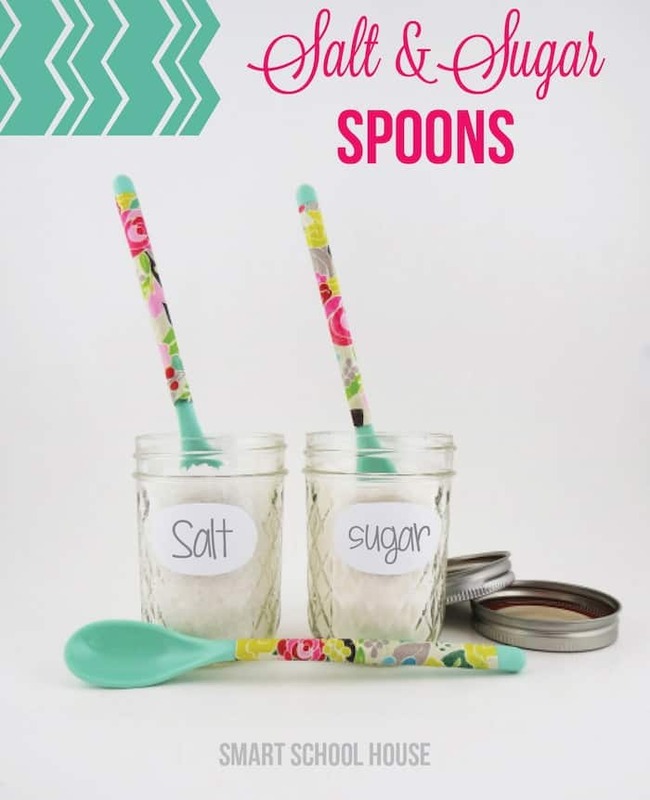 #14 – DIY Floral Spoons – These floral spoons only require a few simple supplies to make, but they’re the perfect summer craft to make and sell. They’d look gorgeous at an outdoor picnic. #15 – Chalkboard Calendar – Chalkboard has long been a popular home decor trend, especially in farmhouse style homes. 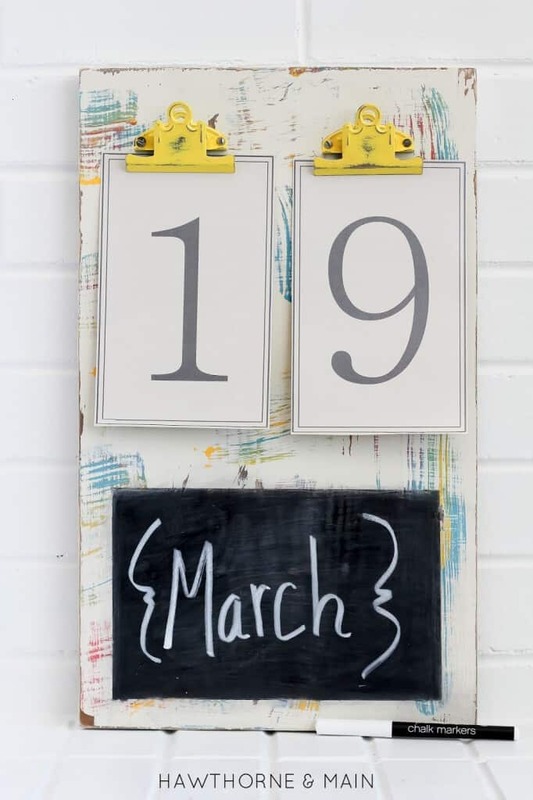 This chalkboard calendar is a relatively simple DIY that anyone who has a farmhouse style home would love. It’s one thing to make these gorgeous crafts to sell, but then, of course, you’ll need somewhere to sell them! A Facebook page can be a great way to get exposure for your handmade crafts. Create a header image in Canva and make it a collage of all of your creations. Invite your friends and family to like your page and then make sure you’re regularly uploading pictures of your crafts on the page. Etsy is the go-to place for people who love to buy handmade items. It’s very easy to set up an Etsy shop, and takes less than half an hour. Make sure you take high-quality photos of your crafts and write keyworded descriptions to help your listings appear in the search. Craft fairs are one of the best ways to sell your crafts because that’s the exact reason people go to craft fairs! Make sure you set up your booth to look inviting and attractive, and greet your potential customers with a warm welcome.